Signature Arts, Inc.: More PSA/DNA Mistakes! When will it end? More PSA/DNA Mistakes! When will it end? 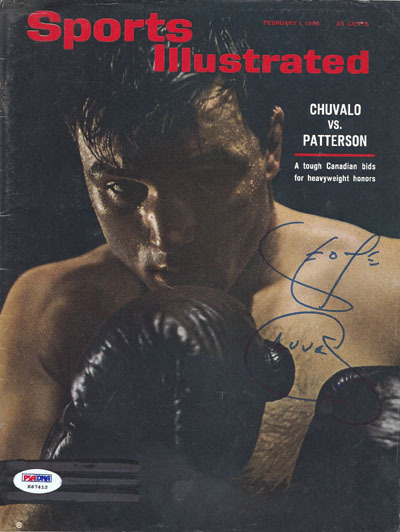 The First Item is a Correctly assessed in Travis' opinion while the 2nd one is an incorrectly "stickerd" Chavez that ought to be Chuvalo. 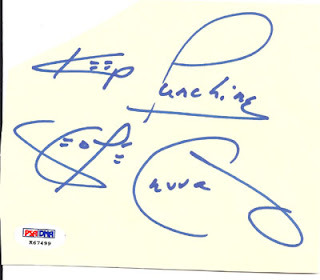 Both items have stickers that are only 87 items apart, the good Chuvalo is K67412 and the Chuvalo they called a Julio Chavez is k67499. Below is the following incorrectly PSA/DNA certified signature of Julio Chavez, when it is a George Chuvalo as provided by Mark Ogren, in his opinion; "PSA" thinks heavyweight contender George Chuvalo is Julio Cesar Chavez (K67499). Was this even a close miss? I guess I can see a "J", "C" and "Z" in there somewhere?" So if you own the 1st one you are ok, but if you own the 2nd one and/or are about to buy it - u could have an issue. 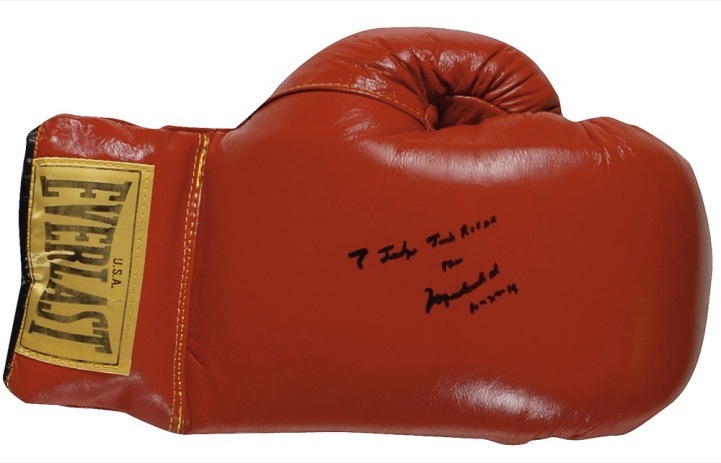 Here is an Ali signed boxing glove authenticated by Bob Eaton and Bill White at RR Auction, and James Bruce at Signature Arts. We then sent the scan along to PSA for an unbiased opinion. What do you think? Well there opinion was that is was not genuine. It's obvious that the mistakes that PSA/DNA are making are becoming more and more frequent. Are they getting to big and to busy to actually evaluate items thoroughly? Every day we are getting emails and phone calls about PSA/DNA mistakes. I agree, I had them authenticate a Kawai Leonard, Tim Wakefield and Mike Schmidt this weekend at the Cow Palace Tri-Star show and they said they were all not real! and they were all authentic! That's 6 now in the past 2 years that I have turned in that they got wrong. So I took them to JSA, and they authenticated them. PSA/DNA just has poor staff. I am very unhappy with them.